The presentation of the Champion System Pro Cycling Team in Beijing was not only the first introduction of the squad to the world, it also illustrated the world of opportunities representing the new venture. With 18 athletes from 10 countries, the Champion System team embodies a number of firsts in competitive cycling: the first Asian-based pro continental squad, and the first time a cycling apparel company is both the owner and title sponsor of an elite international team. The Champion System squad is comprised of riders from China, Hong Kong, Malaysia, Australia, New Zealand, Belgium, Germany, Switzerland, Estonia and the United States. 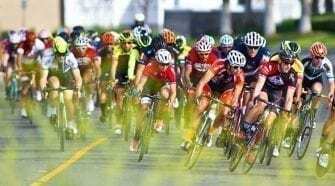 While the team will contest all the major races in Asia – such as the Tour of Langkawi and the Tour of Beijing – a main goal of General Manager Ed Beamon will be to expose his eight Asian prospects to top-tier racing in Europe and North America. 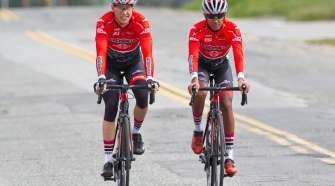 “We’re about to embark on a historic journey and it is thanks to Champion System, the Chinese Cycling Association and all our sponsors, especially Fuji,” Beamon said. The way Beamon describes it, the Champion System team is opening a new frontier for professional cycling. Along the way, that means opportunities for western and southern hemisphere riders are being created, but the biggest opportunities are for Asian riders, Beamon said. 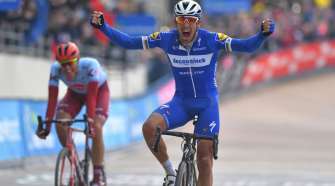 “For the first time in the history of the sport there is an opportunity for a group of Asian riders to have the opportunity to race against the best riders in the world all over the world,” he said. It is also an opportunity for the team’s bike sponsor, Fuji, to link its past and present, said Milay Galvez, sponsorship manager at Advanced Sports International. Fuji Bicycles evolved from the Nichibei Fuji Cycle Company, Ltd., a bicycle manufacturer established in Japan in 1899. Leading the Champion System Professional Cycling Team on the bike is Estonia’s Jann Kirsipuu. The 42-year-old, veteran sprinter will use his experience as a rider/coach. His accomplishments include four Tour de France stage wins, wearer of the yellow jersey for six days in 1999 and holder of the green jersey, plus more than 120 UCI victories. Ultimately, as Beamon said, the new team is possible because of Champion System. The company is a technological leader in its industry, he noted.